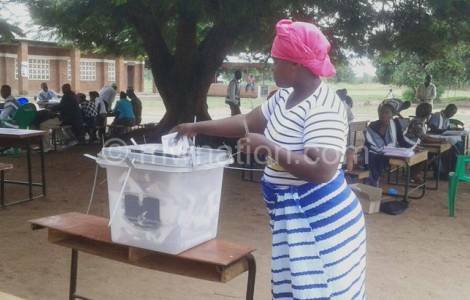 AFRICA/MALAWI - "The current tide of violence risks jeopardizing the vote in May" warns "Justice and Peace"
Lilongwe (Agenzia Fides) - "The current tide of political violence coupled with the worrisome degree of impunity among perpetrators is a worrying situation which may make the management of the 2019 polls chaotic and plunge Malawi into serious civil disorder", says the Episcopal Commission for "Justice and Peace" in Malawi, in a statement sent to Agenzia Fides in which it expresses the Bishops’ concern on the increase in cases of violence during the electoral campaign. "Political violence has no place in any democratic society and those orchestrating and shamelessly perpetrating it should be condemned in strongest terms possible and face the law, irrespective of their political faces or colours". The Justice and Peace Commission condemns the "burning and destruction of party materials and property, the beating up and intimidation of members of the opposition political parties, using hate and discriminatory speech, harassment of journalists and barring political opponents from attending State functions or events, all these run counter to the common aspirations of Malawians when they voted for multiparty democracy in the 1993 referendum". "The CCJP went on and condemned in strongest terms the current assault of United Transformation Movement (UTM) Youth Director and Member of Parliament Hon. Bon Kalindo on the 16th of January 2019 in Mulanje District by alleged assailants belonging to the governing Democratic Progressive Party (DPP)". "Justice and Peace" therefore has demanded that the Head of State, Prof. Peter Mutharika who is also the President of the governing Democratic Progressive Party, should strongly and openly condemn political violence particularly at this critical time; ensure improvement of the handling of reported and alleged cases of political violence by the Police; avoid using inflammatory language and hate speech which incite political violence.